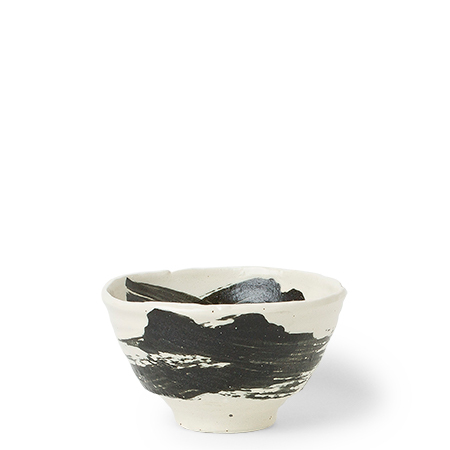 Black Brush Stroke Design Ceramic Everyday Bowls made in Japan available at Miya. Everyday bowls with a little punch of design. Casual bowls do not need to be plain white! These beautiful black brush strokes on a white bowl make every meal or snack special.